Last year I interviewed three of our boys about Canada. Here’s an addendum since one more son can speak in sentences and the other had a bit to add. I asked one of the Littles, “Who is the boss of Canada?” to which he promptly replied, “God.” His younger brother added, “Jesus”. So, there’s that. When I inquired of the 3 year old where Canada is, he informed me, “in the garage.” He also told me that Canada doesn’t use money, so he’s a questionable source. I might have gotten more information and trivia out of them, but the 5 year old suddenly left to go potty. Priorities, guys. 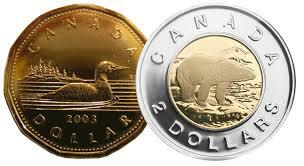 *For more on this topic, click here to view Bast and Moyer talk about Canadian money. With all the other polite countries. Jesus is the boss of Canada. Does that violate any separation issues? Why vote? God’s got this. Bwahaha! Hilarious! I’ve been WONDERING where Canada was — and now I know: in your garage! Next Next post: Et tu, Brute?